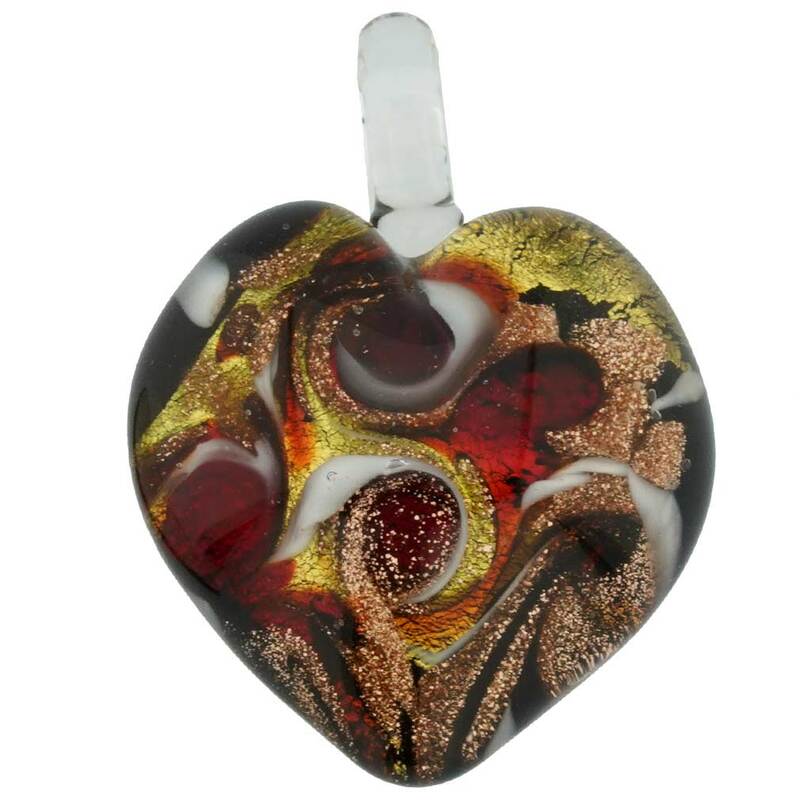 This heart-shaped Murano Glass pendant is as elegant as Venice itself, reflecting its unique beauty and magic. 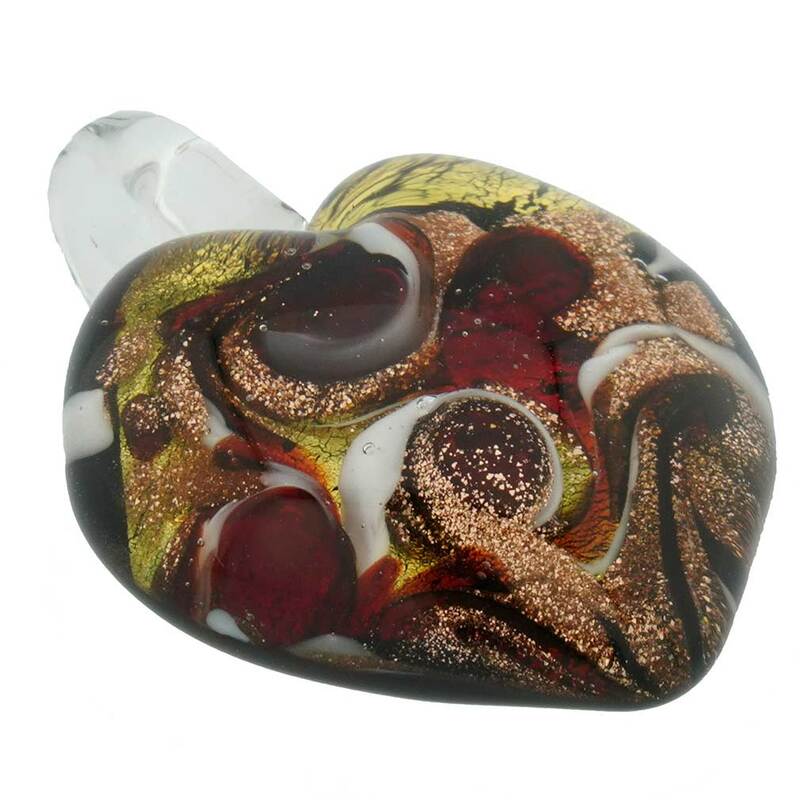 These beautiful colors in unusual flowing lava-like patterns showcase the unmatched skill, taste, and passion of true Murano masters, who make these pendants by hand one-at-a-time over open flame. If you care about style and uniqueness in accessorizing your wardrobe, this amazing Venetian pendant is a must-have. 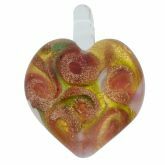 Measurements: The pendant measures 1-1/4 inches in height (from bottom of pendant to top of loop) and 1-1/4 inches in width in its widest part. It comes with an attractive velvet pouch and a certificate of authenticity.